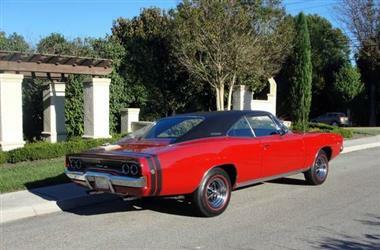 1968 Dodge Charger in San Diego, CA for sale. 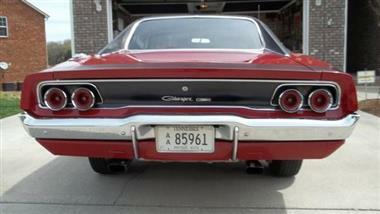 1968 Dodge Charger with total frame up restoration. This beautiful automobile will win you many trophies and will take your breath away when you see it. The 383 V-8 engine and smooth automatic transmission were rebuilt in 2011 at 96,130 miles and now have only 10,000 miles on them. 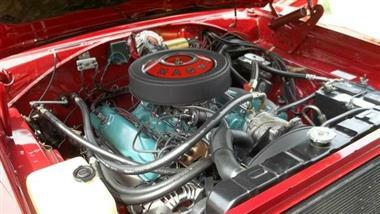 A long list of upgrades from 2010 thru 2014 is included in the attached pictures of this beautiful car. There are over $23,000 worth of upgrades and new parts. 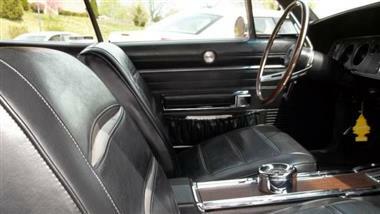 The Red paint was color sanded and wheeled out and looks great and the Black interior is flawless with many upgrades. New ice cold air conditioning system and all of the lights, turn signals, heater and gages work fine. 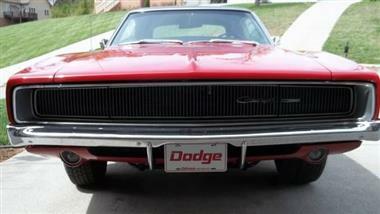 It would be very hard for you to find a nicer 1968 Dodge Charger and anyone would be proud to own this beautiful car. 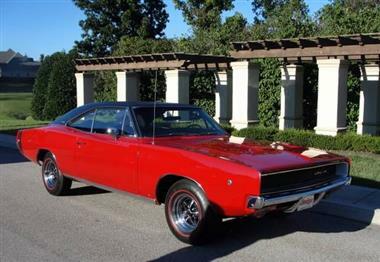 Price Analysis for 1968 Dodge Charger. 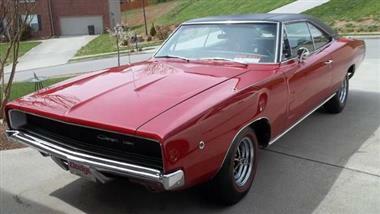 This vehicle is priced $10,056 less than the Average Market Price of $77,556 for a 1968 Dodge Charger. This is a Good Deal as it's priced 13.0 % below market avg. The Pie chart below shows the number of ads within different price ranges.